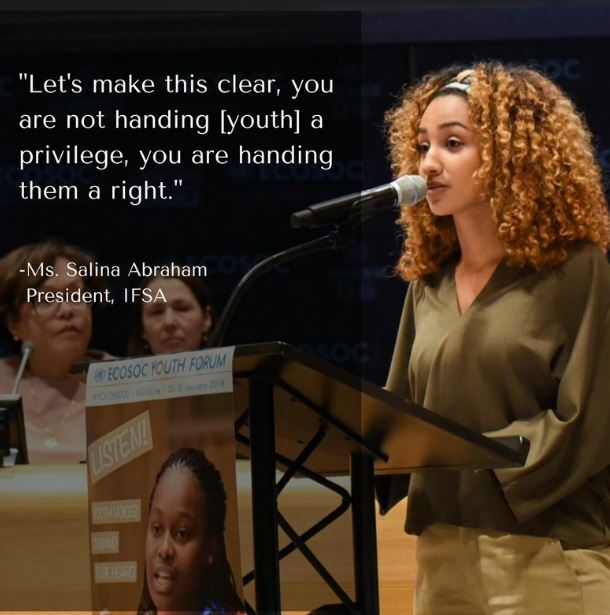 During January 30 and 31, the 7th annual ECOSOC Youth Forum brought together over 700 hundred young people, government representatives, and civil society organizations at United Nations Headquarters in New York. 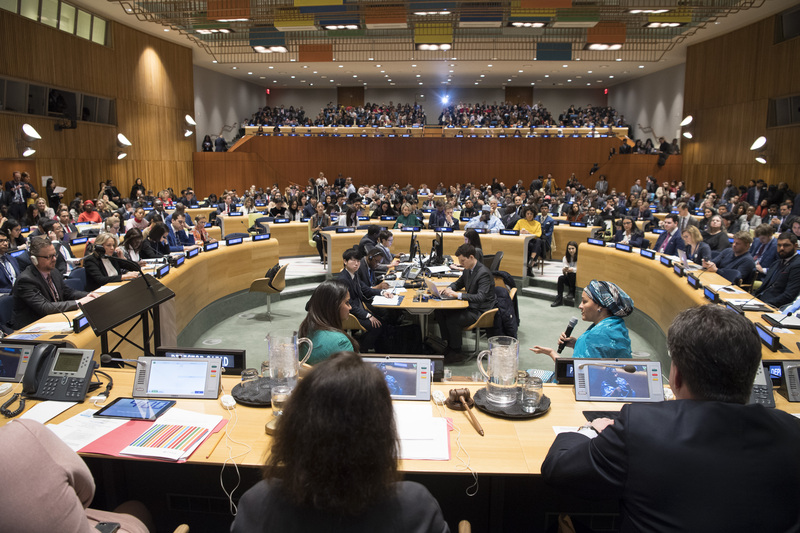 The ECOSOC Youth Forum represents the largest annual gathering at the United Nations focusing on youth development and engagement, and the only UN Forum that brings young people and Member States officials together. It is also a critical moment for reviewing progress in achieving the Sustainable Development Goals, making sure to include young people in their realization. The 7th ECOSOC Youth Forum convened under the theme “The role of youth in building sustainable and resilient urban and rural communities”. Participants particularly focused their attention on advancing progress on six Sustainable Development Goals: access to water and sanitation (SDG 6), energy (SDG 7), sustainable and inclusive cities (SDG 11), sustainable consumption and production (SDG 12), sustainably managed forests (SDG 15); and use of science, technology and innovations in facilitating youth engagement, development and resilience (SDG 17). 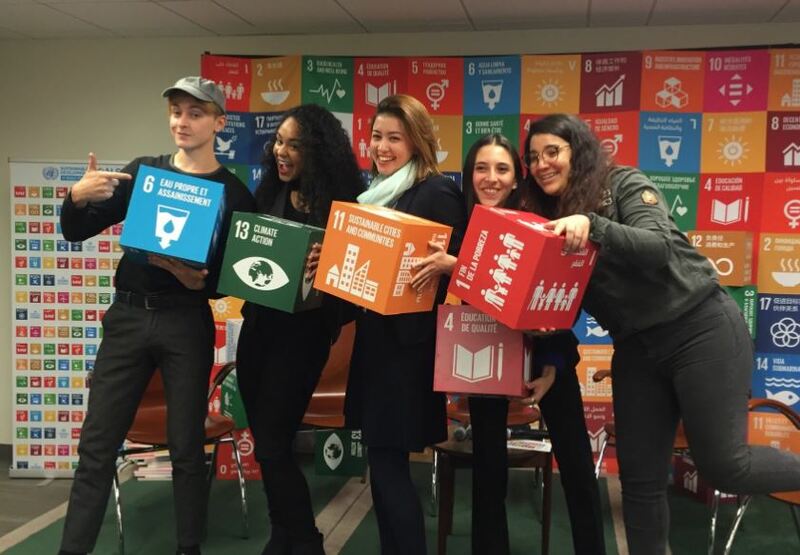 Here are five highlights from the 2018 ECOSOC Youth Forum, held under the auspices of the President of ECOSOC and organized by the UN Department of Economic and Social Affairs and the Office of the Secretary-General’s Envoy on Youth in partnership with the UN Inter-Agency Network on Youth Development. The Forum brought together over 700 youth participants from around the world, along with Ministers and senior officials, who attended this year in a record number (38), as well as representatives from UN agencies and other international organizations. The continued large number of participants at the Forum reflects the ongoing demand and interest in ensuring for a regular convening at a global level that gathers diverse stakeholders to discuss youth development and youth engagement in decision-making processes. In addition to those attending in person, coverage and interactive conversations on social media, together with the live streaming of the Forum, enabled millions of young people to follow the sessions. This year’s ECOSOC Youth Forum not only featured a wide diversity of youth participants, including youth delegates, young activists, representatives of youth-led and youth-focused networks, but through the engagement of ICMYO (International Coordination Meeting of Youth Organizations) and the Major Group for Children and Youth (MGCY) also involved youth in all the preparations for the Forum from the get-go. Through their participation throughout the preparatory stage, youth organizations and networks had the opportunity to provide inputs to the conceptualization of the overall programme and all the sesssions, co-led on various sessions, and supported the identification of representative youth speakers. 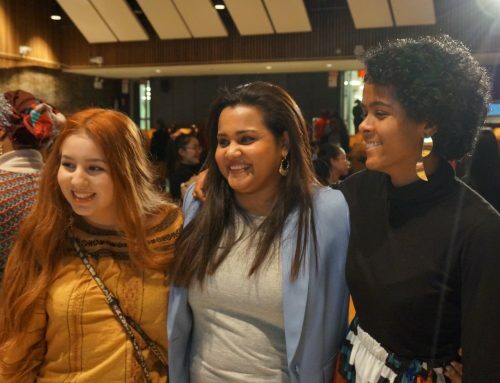 Through plenary discussions, breakout sessions and numerous side events, young people across all regions shared innovative ideas and proposals to tackle pressing issues from climate change to social inequality, employment, education and gender equality. Some of the proposals included smart water, energy efficiency, compost and recycling, decentralized economy think tanks, biodiversity and forest conservation and preservation of indigenous knowledge. Throughout all these discussions, two overarching themes were highlighted: the need to include youth across all levels of policy-making and in all processes that affect them, and to ensure that young people have the institutional space to contribute to the implementation of the Sustainable Development Goals. 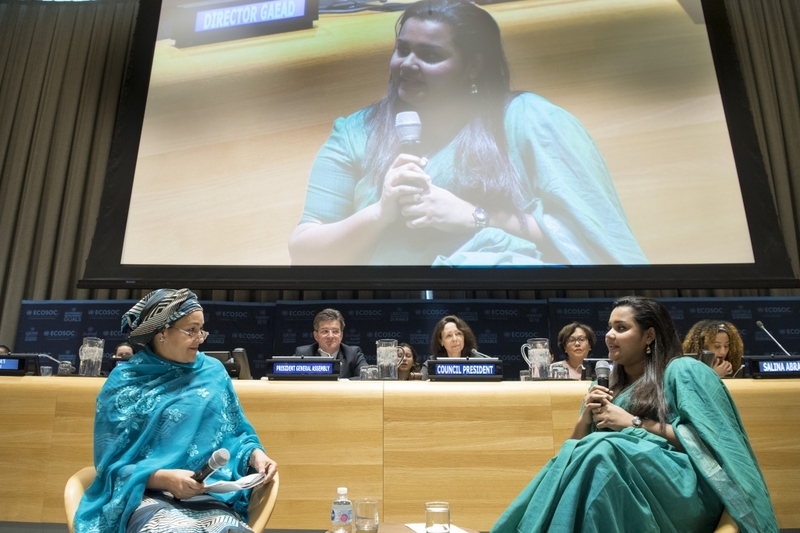 The UN Secretary-General’s Envoy on Youth, Jayathma Wickramanayake, kicked off the Forum in a dialogue with UN Deputy Secretary-General Amina Mohammed. The conversation revolved around the Forum theme, ‘The role of youth in building sustainable and resilient urban and rural communities’, and how youth can engage in the implementation of the 2030 Agenda for Sustainable Development. During the dialogue, Ms. Mohammed called upon member states to continue supporting young people at a country level and encouraged youth representatives to make noise and be courageous. Additionally, she said that young people had been “the loudest voice” in the ground-breaking My World survey, in which almost 10 million made their voices heard during the Post-2015 development agenda discussions that led to the adoption of the SDGs. Running alongside the Forum on 30 and 31 January, the SDG Media Zone, hosted for the second year on the sidelines of the Forum, proofed again a bustling space for young people to exchange ideas, experiences and opinions and to showcase their efforts to achieve the SDGs. Streamed live and amplified across multiple social media channels, the Zone allowed young people in every corner of the world to engage and participate in the discussions at the Youth Forum. The themes discussed ranged from employment, gender and education to migration, climate action and peace and security. One of the highlights was the panel about Women in Leadership at the United Nations with Ms. Mohammed; Ms. Wickramanayake; Jan Beagle, UN Under Secretary-General for Management; and Ursula Mueller, UN Assistant Secretary-General for Humanitarian Affairs. Far from being only a point of convergence for young people and high-level officials, the ECOSOC Youth Forum is also a starting point for conversations about youth empowerment and participation taking place all year round. In fact, the Forum’s discussions will contribute to the High-level Political Forum in July 2018, the central UN platform for the follow-up and review of the 2030 Agenda. The President of ECOSOC, Marie Chatardová, highlighted in her closing remarks that “we move forward knowing that we must build on the achievement of the ECOSOC Youth Forum to strengthen the voice and meaningful participation of young people in building sustainable and resilient societies and contributing to our shared future”.